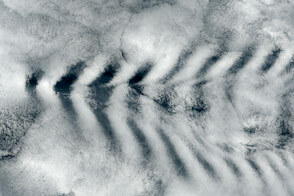 Clouds cast their shadows on the slopes of the Hajhir (or Haggeher) Mountains of Socotra on January 29, 2003. 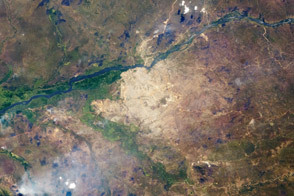 The Advanced Land Imager (ALI) on NASA’s Earth Observing-1 (EO-1) satellite captured this natural-color image the same day. Clouds and mists provide the principal source of moisture for Socotra’s most biologically diverse spot. The largest island in the archipelago of the same name, Socotra lies roughly 320 kilometers (200 miles) off the coast of mainland Yemen. Little rainfall lands on the island, and the lowlands around the perimeter are hot and dry. But the granite peaks of the Hajhir Mountains soar to 5,000 feet (1,500 meters) above sea level, and clouds drift over the high terrain. Socotra’s climate is influenced by the Indian Ocean Monsoon. A 2010 study examined the relationship between monsoon winds, cloud formation, and available moisture on Socotra. Using nearly 150 satellite images covering a period of 40 years—as well as meteorological records, local climatic knowledge, and fog collection from mist nets—the researchers identified monthly cloud configurations. The satellite images show clouds predominating over the eastern third of the island in January. February cloud cover is less consistent, but generally has sparser clouds concentrated along the southern coast. From October to February, a cooling wind from the north brings rains, sometimes covering the northern parts of the Hajhir Mountains. During this time of year, clouds can cover the region, producing mist, drizzle, and rainfall. The authors stated, “The NE continental winds of the winter monsoon take up moisture while passing over the warm Arabian Sea, explaining the wet winter monsoon on Socotra. The 400–600 m high limestone cliffs at the northern and southern coast and elevated plateaus around the Haggeher Mountains cause orographic uplifts.” In other words, mountains push up moist air, leading to cloud formation. Plants in the Hajhir Mountains have evolved tricks to extract moisture from clouds and mists that accumulate on rocks. As a consequence, the mountains are home to more than 100 of Socotra’s indigenous species, and more than 50 species are confined to this mountainous region alone. One species that apparently thrives in the Hajhir Mountains is the dragon’s blood tree (Dracaena cinnabari). Considered the symbol of the island, it looks a bit like an umbrella ruined by wind, but the tree uses its upturned branches to collect moisture from fog. Expansive stands of dragon’s blood trees occur in Firmihin, in the southern foothills of the Hajhir Mountains. 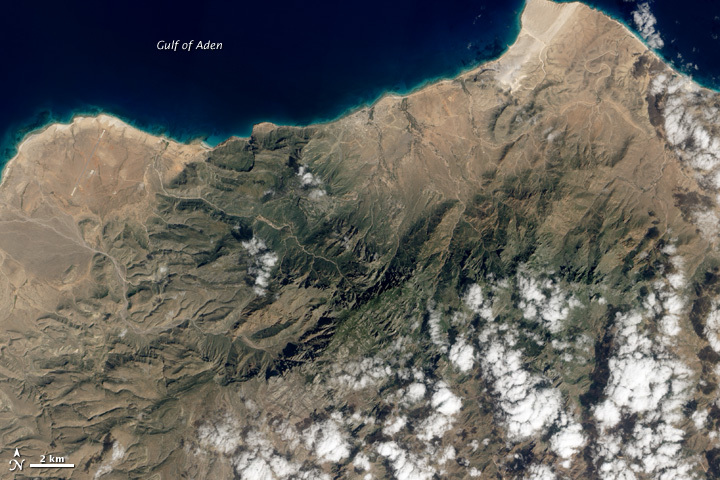 Socotra’s main watershed, the Hajhir Mountains are remnants of ancient volcanic activity, but Socotra is not a volcanic island like the Hawaiian chain. Socotra was once a part of a prehistoric continent known to geologists as Gondwana. About 18 million years ago, Socotra broke free, carrying unique life forms with it, and providing an isolated home for organisms to continue evolving eye-popping forms. Overall, more than 1,000 endemic species make their homes on Socotra, including perhaps 800 invertebrates and 300 plants. 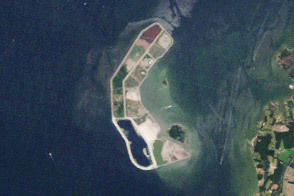 Biologists still piece together the natural history of this island, which includes wildlife vaguely resembling that of Africa, Europe, and Asia. Thanks to its biodiversity, Socotra is a United Nations Educational, Scientific and Cultural Organization (UNESCO) Word Heritage site. 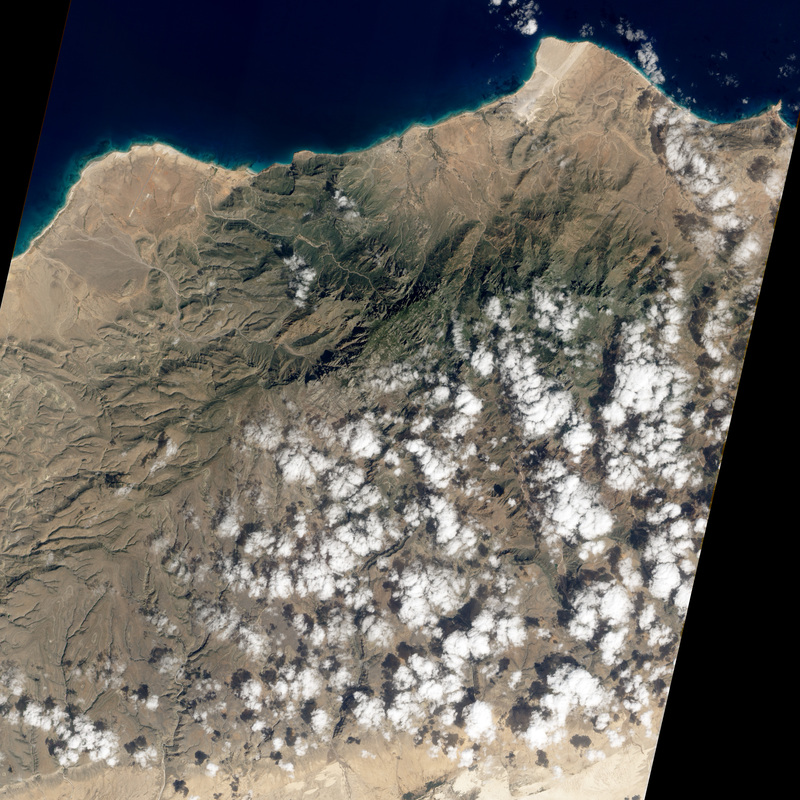 This natural-color image shows clouds over the Hajhir Mountains of Socotra. Clouds and mists provide moisture to the mountains’ thirsty plants. Scholte, P., De Geest, P. (2010) The climate of Socotra Island (Yemen): A first-time assessment of the timing of the monsoon wind reversal and its influence on precipitation and vegetation patterns. Journal of Arid Environments, 74(11), 1507–1515. UNESCO. Socotra Archipelago. Accessed May 28, 2012. White, M. (2012) Where the Weird Things Are. National Geographic, 221(6), 122–139. Windows to the Universe. 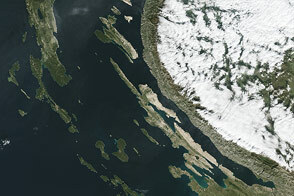 (2011) Cloud formation due to mountains. Accessed June 6, 2012.